Since the introduction of the Heritage Bill 2016 to Seanad Eireann in January, the Bill has not progressed beyond Stage 2 in the upper house. In order for the amendments to the Canals Act 1986, contained in the Bill, to become law they must pass five stages in both Houses of the Oireachtas. With the election of the 32nd Dáil, Minister for Arts, Heritage, Regional, Rural & Gaeltacht Affairs, Heather Humphreys TD, requested the Heritage Bill 2016 be reintroduced to the Seanad, but to date it has not appeared on the Order of Business. IWAI continues to campaign vigorously for the removal of Section 2 of the Heritage Bill dealing with Canals and instead bring forward a dedicated Canals Bill creating a legislative framework that will put user requirements, tourism development, local communities and local government at the centre of the regulations. This call for a Canals Bill has received very strong cross party support with Kildare representatives Bernard Durkan TD, James Lawless TD, Catherine Murphy TD, Frank O Rourke TD and Ceann Comhairle Sean O Fearghaill TD all signing their name to the pledge. In a Parliamentary question on July 7th, Deputy Lawless asked the Minister directly if she would produce a separate Canals Bill. The Minister replied stating that she had no plans to produce a stand-alone Bill. IWAI continues to seek a meeting with Minister Humphreys to put forward its view and hopefully create a climate where the canals can be protected and enhanced for future generations to enjoy, by producing legislation that is fit for purpose. Over the past couple of years, because of attempts to introduce unfair methods for regulating boats on the canals, many boaters have moved their craft elsewhere. The majority of these boats are now on the Shannon, where the rules for mooring and navigating are at this time, clear and owners can enjoy a better service. We recognise that a clear and fair method of regulating boats on the canals is required. However, the proposed new Byelaws we have seen in January 2014 and the the Canals Act section of the Heritage Bill 2016 are a serious concern. Their implementation will result in a further drop in boats navigating the canals, which in turn will have a negative impact on local communities and tourism. Further information on this campaign can be perused in this section and on our News Page. Today, many people view the canals in Kildare and elsewhere as a valuable part of our towns and countryside. They treasure them for their industrial heritage; they value the work and ingenuity that went into creating them by our ancestors, appreciate their urban and rural tranquillity and enjoy the recreational and tourism opportunities they offer. Boaters also appreciate them for the opportunities it gives them to stay a while and become part of one of the many communities along the way, during a festival or boat rally or for just a couple of days, exploring an area and what it has to offer to the visitor. 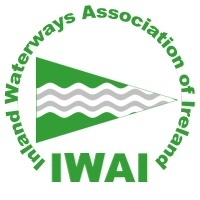 As members of the IWAI, we have spent many years promoting the waterways of Kildare and the other counties along the banks of the Grand and Royal Canals and the Barrow Navigation. We have joined up with many local organisations in the promotion of their towns and amenities. We have welcomed Kildare Failte’s plan to promote the waterways over the coming years. The Green and Silver initiative introduced by Dublin IWAI has resulted in many boats doing the ‘New Triangle’. This route might take you from the Shannon via the Royal Canal to Dublin, crossing the Liffey into Grand Canal Docks and then from there to Shannon Harbour, turning north on the Shannon and past Athlone back to the western end of the Royal Canal. It has been a great success and has introduced many boaters from the Shannon and elsewhere to places they have not visited before. People from the villages and towns have welcomed this new influx and many have been looking forward to having even more visitors in years to come.